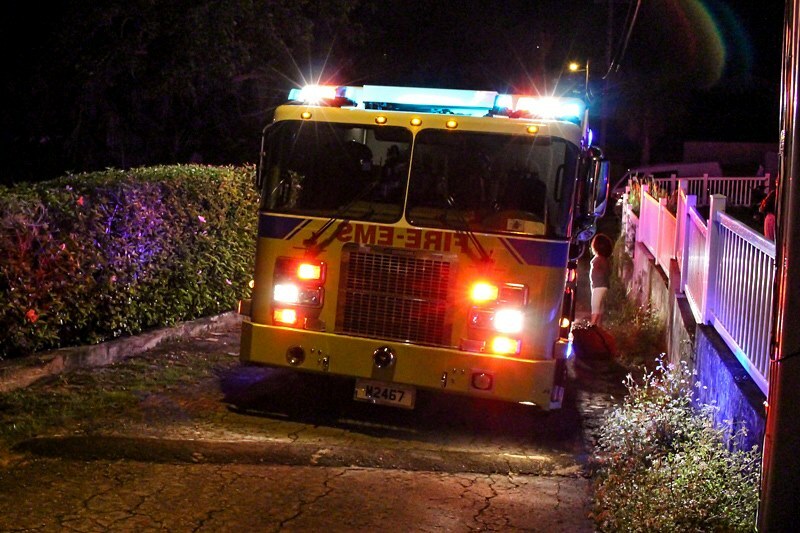 [Updated with photos] Multiple appliances from the Bermuda Fire and Rescue Service attended the Warwickshire Road, Warwick area at approximately 8.30pm tonight [May 18] to a reported fire in a residence where an occupant had to be rescued. Update 10.47pm: Fire Service spokesperson, Sergeant Jamal Albuoy, reported “BRFS responded to the incident with 4 appliances and a total of 10 personnel. 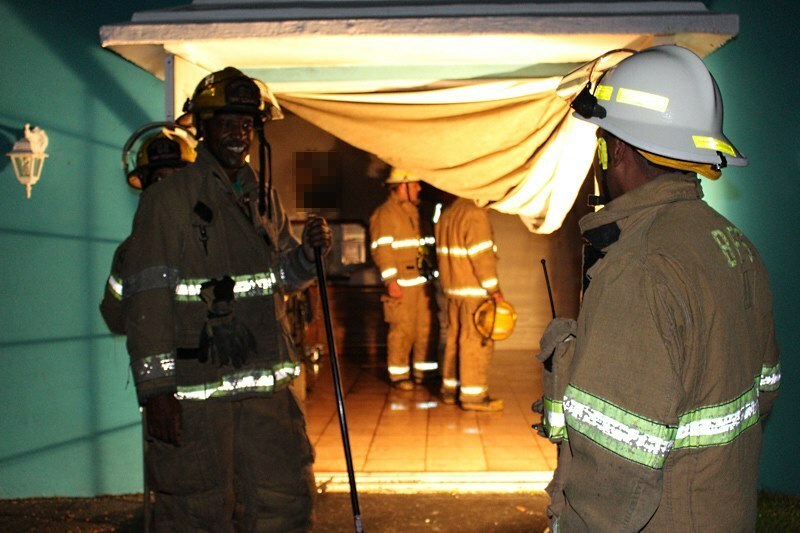 On our arrival, smoke and flames were seen emitting from the single storey dwelling. “Two firefighters dressed in breathing apparatus gained entry to the premise through the main door. Once inside, they rescued one male occupant who was trapped in the ordeal. 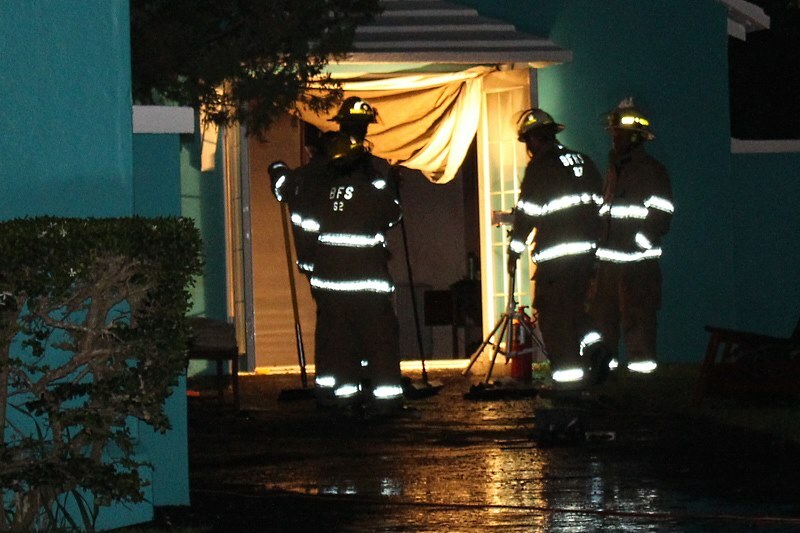 After the occupant had been safely removed, they reentered and extinguished the fire using a hose line and water. 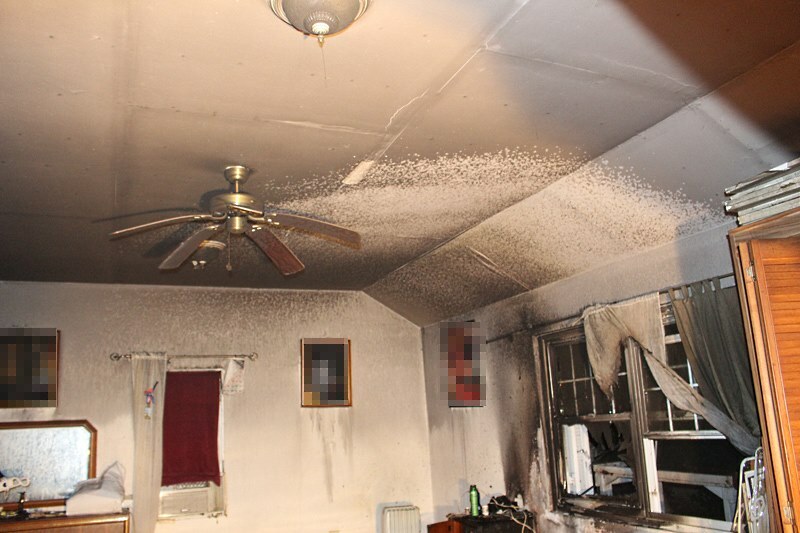 “The occupant was subsequently transported to the hospital via ambulance for treatment of smoke inhalation and observation. Update 11.32pm: Photos from scene added below. Thank you to BFRS. I hope the person rescued makes a speedy recovery. Thank God the person was able to be rescued from his home with no real harm coming to him. Well done BRFS. Warwickshire Drive – hope the gentleman is ok – scarey. One can only be happy hearing the occupant had been extracted from the house and that the new and improved deployments of ambulance/s proves to be working to the publics advantage…By having one taking-up a fixed positing in between K.E.M.H. and the required location East or West end of Island is a blessing in disguise. Praises to the Almighty again. This was devine intervention. Well done BFRS on a job well done.